We Make it Easy, Attractive and Affordable! not find: "Your Business Name Here"
Why You Need a Website for Your Small Business? More People are using the Internet to find products and services more than ever. Websites are a great way for a small business to give a big presence. You become bigger by being bigger! Perception is key to any business. Be perceived the way you want to and should be. It doesn't have to cost a fortune to have a great looking, to the point site that makes them call you, email you or hire you. People throw away print ads. You pay for your site ONE TIME. Compare what you'd pay in Print ads to the price of a Websitedrive.com site. We understand Long Island. We live here, we work here and we own our own business here. We know without a website, being listed in search engines and on online directories will certainly cost you sales. Contact Page Included Monthly News and info Distributed to your List! Sell more products and Services, send out info and alerts. We've built sites for a variety of companies on Long Island, in Suffolk and Nassau Counties. We're located in Blue Point, Long Island and have built sites for those in Blue Point, Bellport, East Patchogue, Patchogue, Medford, Sayville, Oakdale, Nesconset, St. James, Setauket, Holbrook, Holtsville, Hauppauge, Islandia, Islip, Brookhaven, Bayport, the Hamptons and other surrounding areas. Long Island is our home, and we can help your business. 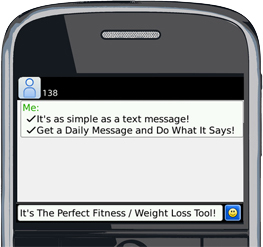 Do Not Miss Out on Text Message Marketing Long Island. It's not SPAM, it's sent only to those who Opt In and it's a potential Boon for your company. Click here for more. Do you want to keep in touch with your client or customers every month. Maybe share some pearls of wisdom that keeps them coming back and keeps you in their mind? We'll send out monthly newsletters for you. See what an emailed Newsletter looks like here.